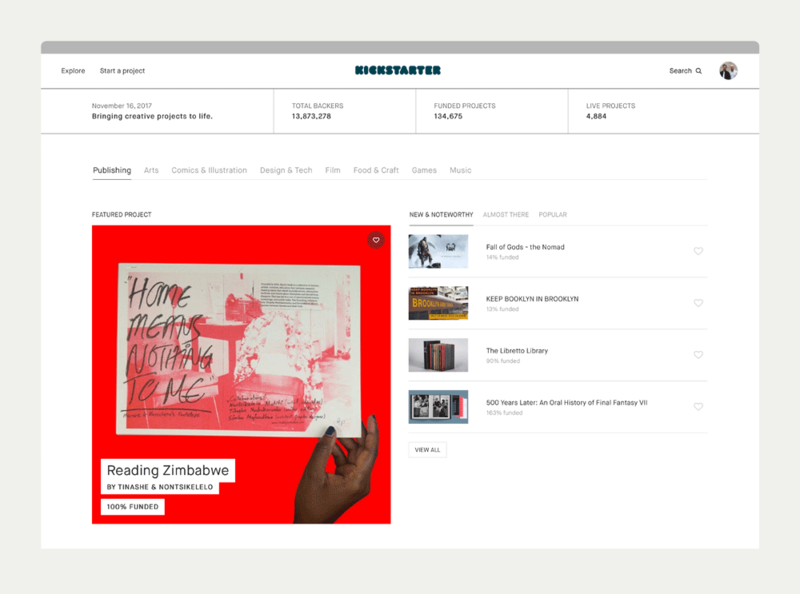 Established in 2009, Kickstarter is a funding platform for creative projects where — as of this post’s writing — 134,978 projects have been successfully funded, collectively backed by 14 million people who have pledged a combined $3.4 billion. Those numbers are kind of crazy but the impact of Kickstarter is undeniable and similar to other online platforms like Etsy, Uber, or Airbnb, it has allowed many people to earn a new kind of living through it. 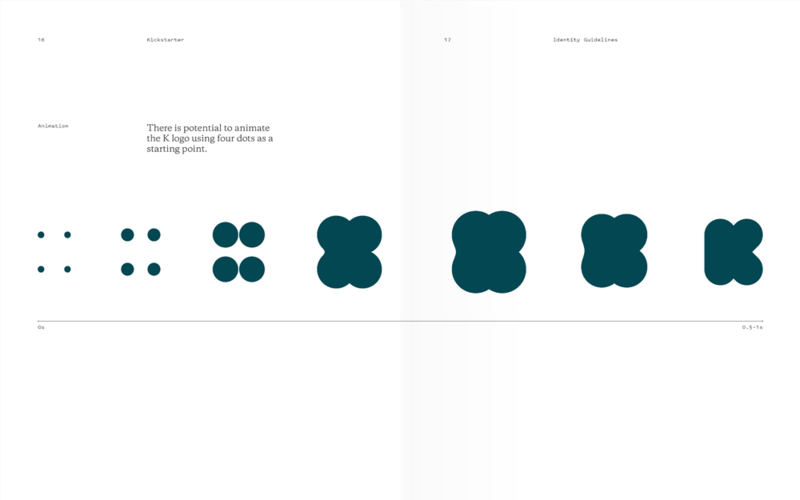 One example being Jesse Reed and Hamish Smyth who have launched a number of successful projects, including the New York City Transit Authority standards manual reissue, which led to other standards manual reissues, which led to a brick and mortar Standards Manual shop in New York and the two designers to leave their Pentagram jobs to start Order… who teamed up with Kickstarter’s design team to design their new identity. Wordmark construction. Drawn by Jesse Ragan. The old logo was neither great nor bad, it was mostly competently functional, and it was distinctive enough with the black/green combo and the missing counters from the “A” and “R”. That last gesture though, created a distracting imbalance in the wordmark, with two characters much heavier than all the rest for no apparent conceptual or even visual reason. The new wordmark — drawn by Brooklyn-based Jesse Ragan — builds on those two characters to create a much more balanced design from start to finish, where all the letters have equal weight. As a long-time admirer of chunky typography, I absolutely love the update. The company’s name is so peculiar — part of it is its length, part of it that it has more “K”s than other company names — that it is easily recognizable even if the typography challenges readability standards and by “standards” I mean people’s laziness to decode anything that’s not typeset in Helvetica so even if this is “hard” to read, it’s still unequivocally Kickstarter. We complain about the overuse of jarring, vibrant colors but I do wonder if the transition to a new wordmark would have been better served by keeping the old green color instead of the new black/green/blue blend which I feel is a more drastic — and less beneficial — change than the shape of the letters. 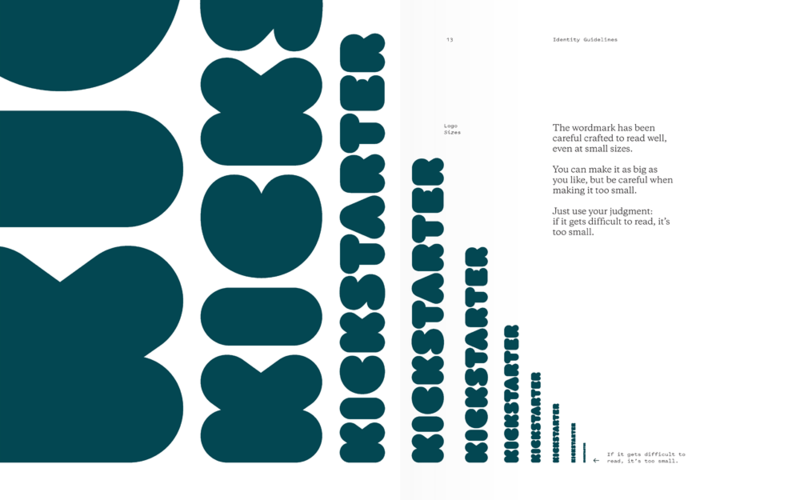 Still, I dig this very much and, more than anything, I absolutely love that Kickstarter didn’t go with the un-designed approach of recent redesigns — eBay, Dropbox, Remax, et al — but instead doubled down on the visual cues that made it different and unique. Monogram in two different versions for normal and small size uses. Obviously, the large size should not be used small and the small size should not be used large. Monogram construction. Drawn by Jesse Ragan. The monogram may actually be pushing it, with how bold and rounded it is, it’s almost like a cloud drawing rotated 90 degrees clockwise. But, like the wordmark, I’m also liking this a lot and I appreciate there is a version for tiny uses. 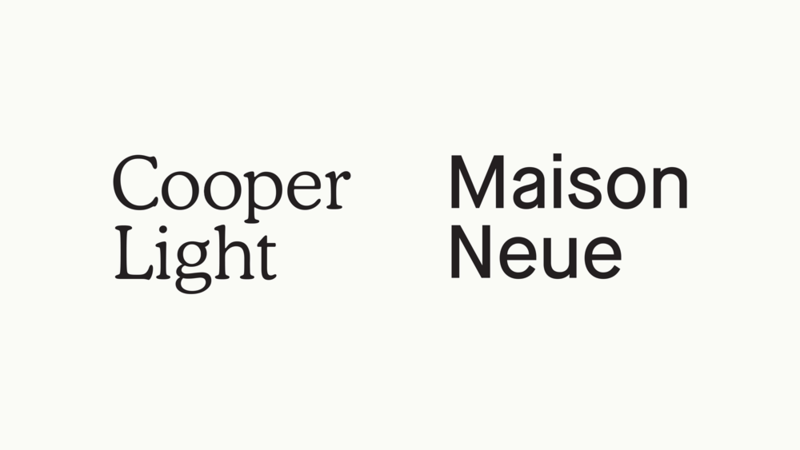 The identity introduces two new typefaces — Cooper Light and Maison Neue — both used in light weights, which provide a nice contrast to the boldness of the wordmark, and both look pretty great in the website, particularly the large use of Cooper Light. 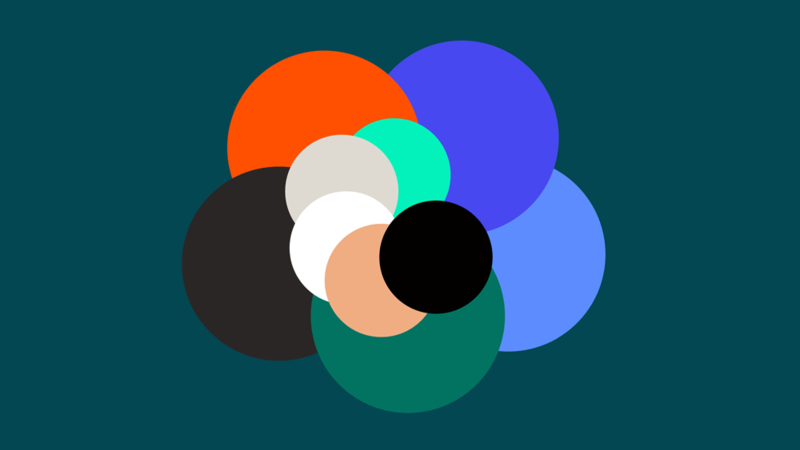 Overall, as it may be clear, I think this is a great update that visually leans towards the more creative and quirky aspect of Kickstarter vs. the more business and bottom line aspect of it, which I think is a commendable approach for a company that espouses creativity and innovation. Thanks to Craig Cowley for the tip. 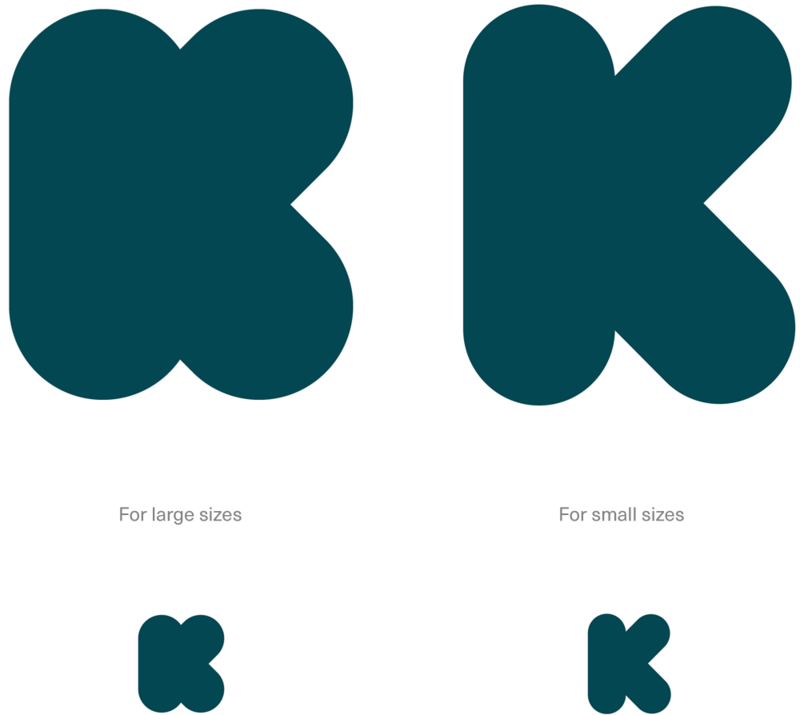 Established in 2009, Kickstarter is a funding platform for creative projects where -- as of this post's writing -- 134,978 projects have been successfully funded, collectively backed by 14 million people who have pledged a combined \$3.4 billion. Those numbers are kind of crazy but the impact of Kickstarter is undeniable and similar to other online platforms like Etsy, Uber, or Airbnb, it has allowed many people to earn a new kind of living through it. One example being Jesse Reed and Hamish Smyth who have launched a number of successful projects, including the New York City Transit Authority standards manual reissue, which led to other standards manual reissues, which led to a brick and mortar Standards Manual shop in New York and the two designers to leave their Pentagram jobs to start Order... who teamed up with Kickstarter's design team to design their new identity.